Lately it seems like WWE's been keen on either adding a new championship or remodeling their title belts every year. The trend continues with the newest addition to the NXT family, the NXT North American Championship (and if rumors are to be believed, 205 Live is getting a Cruiserweight Tag Team Championship as well). While Adam Cole became the first NXT North American champion at NXT Takeover: New Orleans, we got a first glimpse of the title a couple of weeks ago on NXT, as it was introduced by Triple H. From the outset, the new belt stood out from the rest of the NXT championships. 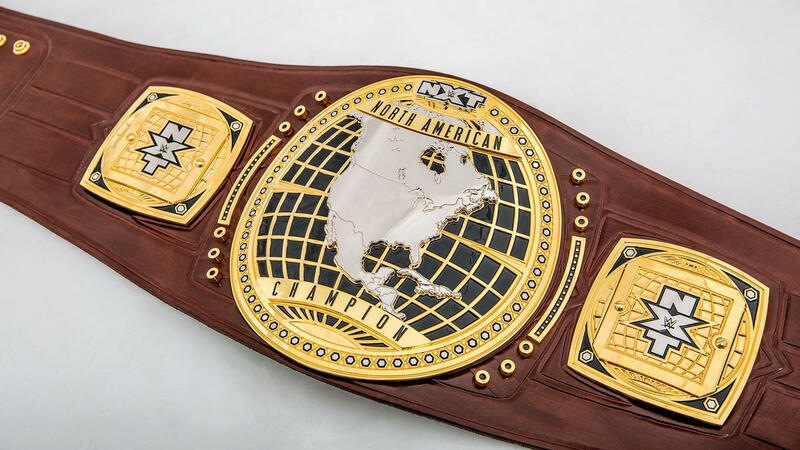 Even if you didn't know what championship belts used to look like in old-school wrestling, you can already tell that the NXT North American title—with its maroon-brown leather strap, round centerplate, and North American map design—is a throwback. Championship belts in boxing, as you may have already seen, come in different colors. 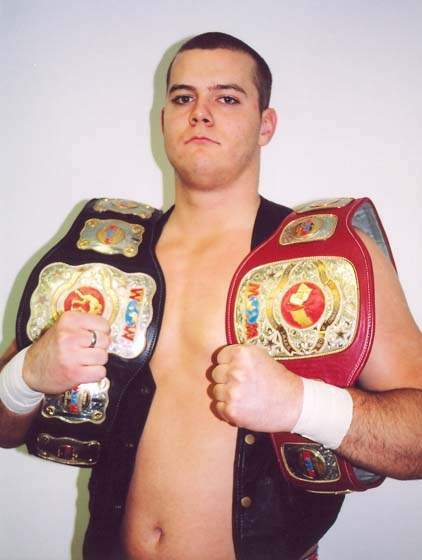 But no matter what championship belt the designers really took inspiration from, it's clear that they wanted to go for a vintage look, and a red leaning toward maroon (instead of the richer red that adorned the underside of the late WWE version of the World Heavyweight Championship) keeps from the belt from looking too gaudy. 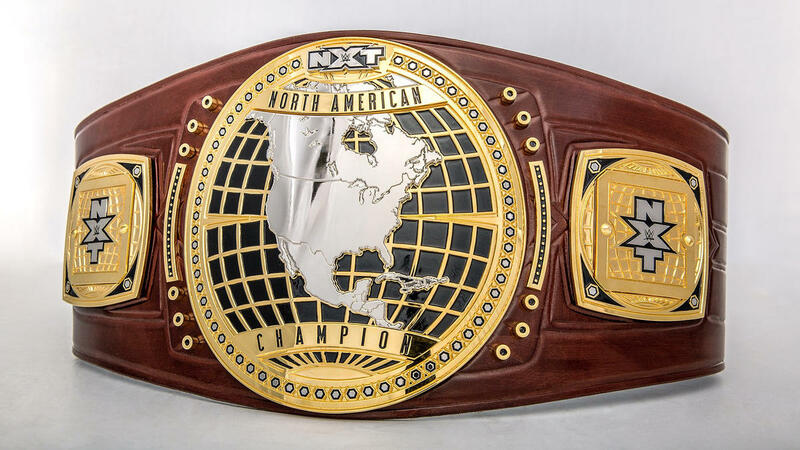 The centerplate features three colors: your typical gold, silver, and black, following the color schemes of the NXT Championships. Normally there would be nothing wrong with it, but the design on its own clashes against the rich maroon of the leather strap. Taken on its own, there's too much going on—thankfully, it blends well with the gold and black in different lighting, as seen here with Adam Cole. But as an NXT-branded championship (as opposed to the UK title, which isn't branded under NXT) it's literally the red-headed stepchild, with very few thematic ties to the other belts. At least you can already tell that it's not the main title of the show. All in all, even if WWE seems like they're indecisive with how they want their titles to look, the North American Championship is a fine addition to NXT's titles. Any champion should be proud to carry it around.